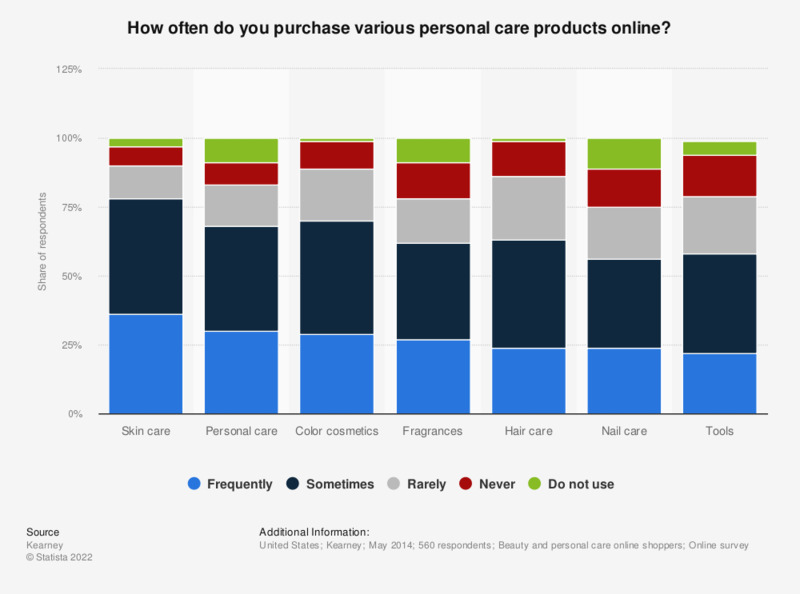 This statistic provides information regarding the frequency of purchasing various personal care products online by U.S. consumers. The survey revealed that 36 percent of the respondents frequently purchase skin care products online. This statistic refers to attributes that are very or somewhat important to online and personal care shoppers. The source does not provide information regarding the age of respondents.